Tarot deck collectors have have not suffered from lack of choice for a long time now. I remember how difficult it was to pick one from all of the available options when choosing my first deck back in the ’80s. But now, with crowdfunding and the ability to place pre-orders online, the number of different decks out there has truly exploded! Creators can now help finance the production costs before they are incurred and get a good idea of the size of their print run without requiring the backing of a publisher. There is still a LOT of work for the creators to do and a huge sink of time, but the barriers to entry in making a tarot deck are not what they were. How wonderful! Creators have more opportunity, and card readers and collectors have much more choice. Everyone wins! One problem, however, is that once a deck is successfully funded, printed and shipped, what happens for those who came late to the party and missed out? The creators may find it difficult to find the time and energy to go through the funding process again, and there is always the worry that you had found most of your audience the first time round. 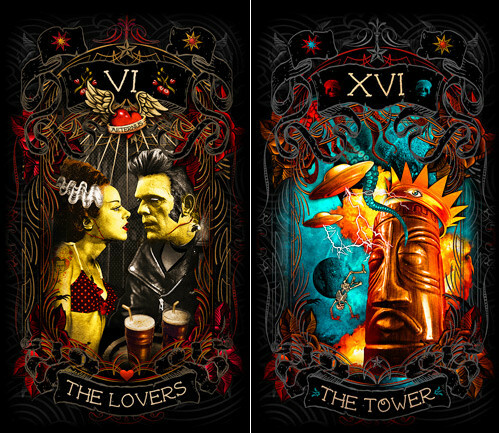 W. Kurt Wenz and Michael Hallberg clearly had an immense amount of fun creating the Psychobilly Tarot deck. Dripping with the psychobilly references and style of tattoo art, horror and Americana, this Major Arcana and Aces deck is a visual riot. Case in point, look at all those themes mashed together in The Lovers! My personal favourite, however, is The Tower, where a tiki head’s crown is struck off by the lightning from UFOs and a blow from an eldritch tentacle! Noel Arthur Heimpel created a truly inclusive, vibrant and modern deck in the Numinous Tarot, celebrating diversity with a resounding ink and watercolour joy. They are currently processing a first Kickstarter, but a second round of funding would come as no surprise! *Edit (25 April 2018)* Noel got in touch to let us know they still have decks of the Numinous Tarot for sale, but have simply paused sales to ship his Kickstarter orders. The Numinous Tarot will be available again soon, and you can sign up to Noel’s newsletter for more info. While most of these decks are from the past few years in order to thank and encourage those involved, it would be remiss to produce a list like this without including the Greenwood Tarot (first published 1996), given its almost mythical status to collectors. It uses pre-Celtic British religious symbols such as animals, gods and landmarks. Chesca Potter’s artwork is lovely and the theme is a natural fit. 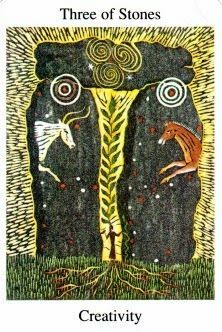 The creator, Mark Ryan, went on to produce the Wildwood Tarot, which largely superseded the Greenwood Tarot. That said, if you spot a used copy of this deck at a reasonable price, you’d do well to pick it up! I missed the Personal Space Tarot and sorely regret doing so! 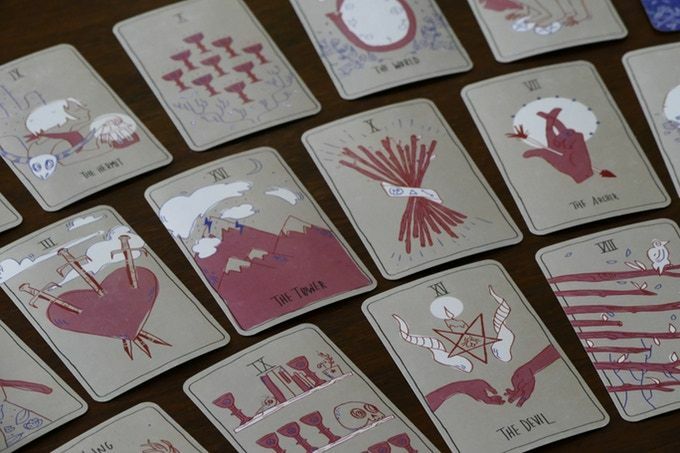 Artist Emilee Graverson has created a tarot deck that is intended to be fluid and open-ended, allowing room for the reader to bring more of their own perspective to the cards. A simple but beautiful illustrative style has been employed to achieve this. These lovely cards have already been through a second printing… hopefully there is time for a third! Slow Holler was a grand, ambitious vision brought together by over 30 artists and 4 writers who either have Southern US ties, identify as gay, or both. 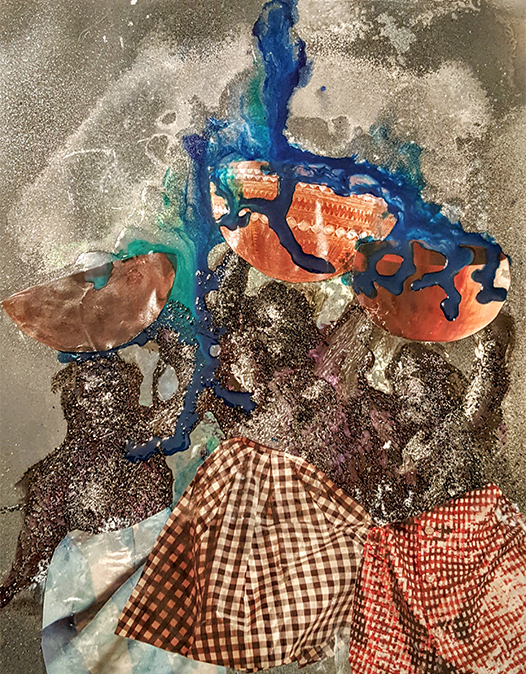 The benefits of a collective approach are that each artist can connect to the card that resonates with them most. The perfect artist for the Magician draws the Magician, and so on, and the reader experiences a deck that continually surprises and keeps the intuition awake. The downside is that it can feel disjointed. Reading a tarot spread is reading a story, and that can be difficult if it’s written in many styles. 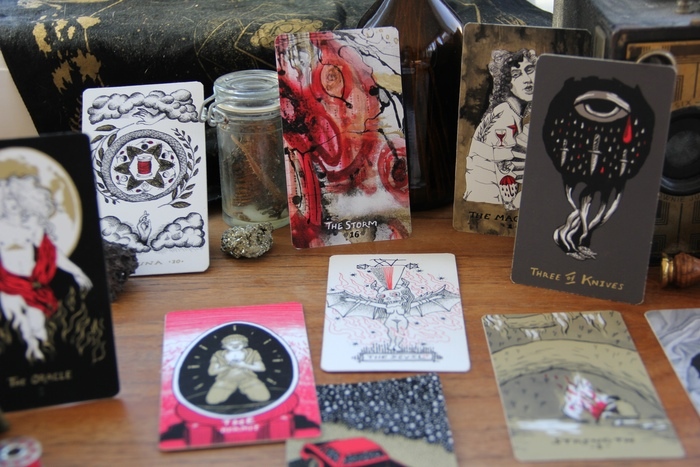 The Slow Holler Tarot overcomes this visual problem by restricting the colour palette to black, red, white and gold, and by keeping the style within a certain range (i.e. none of the artistic approaches vastly differ to each other). With this approach, the sense of the collective really shines through. There was common ground and common belief here; however, they were all willing to take risks whilst expressing a very personal meaning. This deck appears to be sold out from all the direct sources. The creators have said they are taking a break and considering whether to do another print run. I hope they do, and I hope it is deservedly successful for them! 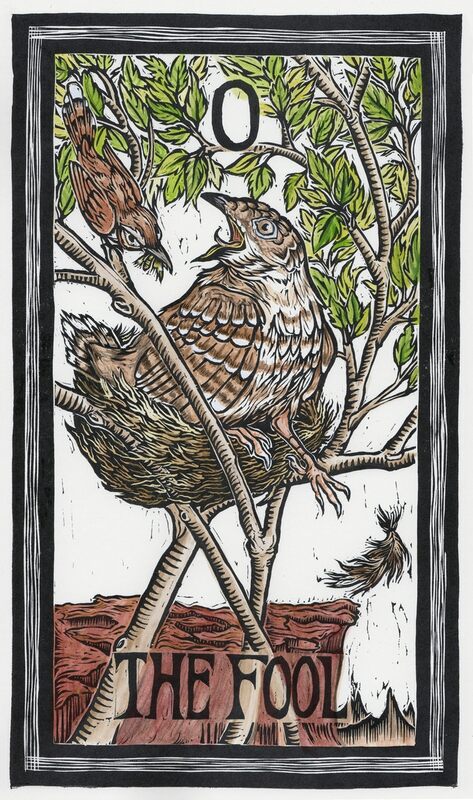 Aside from the above, another tarot deck to note is the beautiful Brady Tarot: Where Natural History Meets The Esoteric. This truly stunning deck successfully finished its Kickstarter campaign in December 2017 but can now be backed in Backerkit. I had this deck in the above top 5 until I realised it could still be bought, and I then promptly backed it myself! 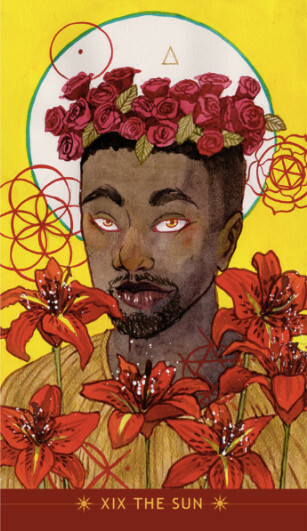 Another deck that’s still available is the distinctive, mysterious and powerful Dust II Onyx: A Melanated Tarot by Courtney Alexander. Originally a successful Kickstarter campaign, this a pre-order that can be backed for just a couple of more days. Unlike the Kickstarter, the pre-orders are being taken from outside the US. Liminal 11 have some tarot news that we have been positively bursting to reveal for some time now. We highly recommend you could you keep a close eye on our social media this week! Meanwhile, let us know which tarot decks you wish you could still get your hands on, and remember to show love to the creators themselves! Noel is actually genderqueer and uses ‘they’ pronouns. Other than that, a lovely list! Thanks Sia, we’ve updated the article. Appreciate you letting us know about the oversight!